Finally, on a very cold and rainy Saturday, Nov. 10, Laurie and I met two other leaders and about 30 brave participants at Santa Ana State Park, one of my very favorites! 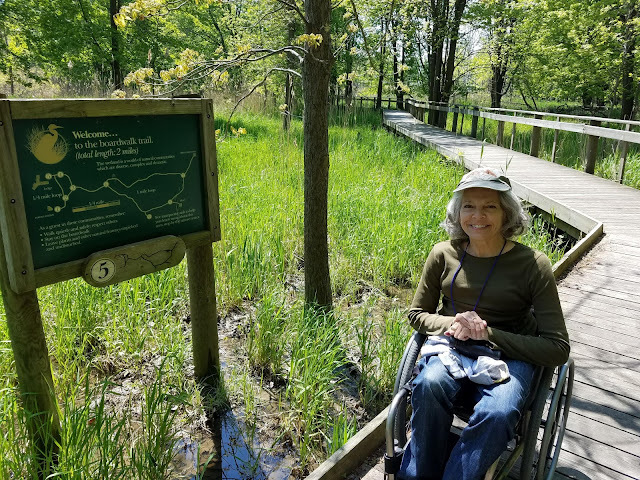 This event was not for the mobility-challenged, but much of this park is accessible. The leaders split the group into two. Laurie went with with one leader and I with another. 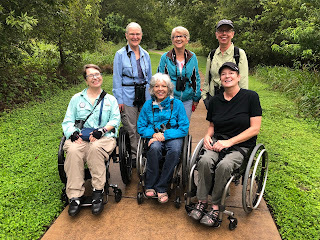 My group headed to Pintail Lake, not an accessible trail for me, but I was quite happy birding on my own. I was fortunate to see some Valley favorites: the famed chachala, the beautiful great kiskadee, the stunning Altamira oriole and the gorgeous green jays among many others. By the time we returned to the visitor center, everyone was cold and wet and ready to call it a day. 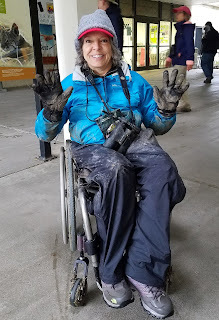 My wheelchair and I were FULL of Valley mud, head to toe, including my binoculars! 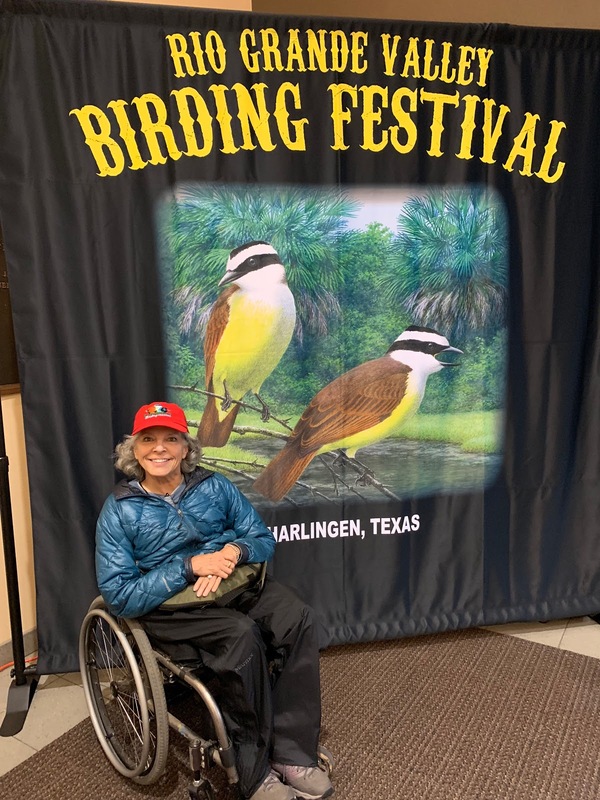 The afternoon was spent at the trade show where I stopped at nearly every booth to meet the movers and shakers of the Birding Festival world. 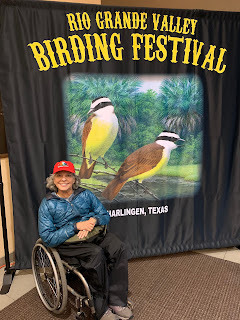 I so enjoyed my time there and everyone was super friendly and receptive to Birdability. 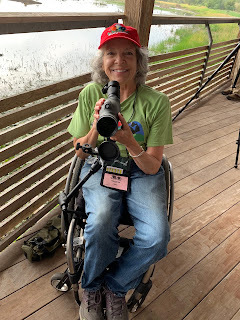 I cannot wait to help other birding festivals identify accessible sites and schedule walks suited for their mobility-challenged patrons. The time has come and I couldn't be more excited! Note: All bird photography taken by Laurie Foss.